2018 was a storybook year for Big Agnes and the Continental Divide Trail. As a company–along with our sister company Honey Stinger–we hiked, biked, moto’d and horse-packed all 740 miles of the Colorado portion of the trail. In addition, we adopted the 75-mile section that winds through our backyard in Steamboat Springs to the Wyoming border. We capped off the year by donating $30,000 to the Continental Divide Trail Coalition (CDTC) to help them with their efforts to move the portion of the trail off Highway 40 and onto a real trail. Below, Amanda Wheelock talks more about this feat, and how Big Agnes will continue to play an active role. Living in Golden, CO I represent the Continental Divide Trail Coalition at a lot of events in Colorado’s Front Range. Naturally, as I get into conversations with folks about CDTC, they want to know what it is that we really do. 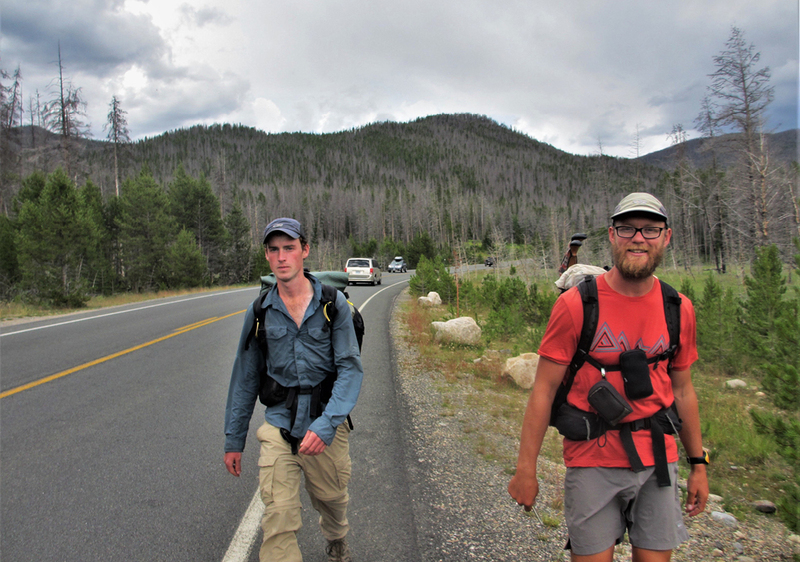 “Well, our mission is to complete, promote, and protect the Continental Divide Trail…” I start, and often can’t get much further. “You mean the CDT isn’t complete? I thought people thru-hiked it every year,” they respond in surprise. Obviously, this is a problem. No hiker wants to walk 14 miles of road – especially when that road is as busy as Highway 40. The 14-mile section of “trail” in question can be an entire day’s worth of hiking for a normal thru-hiker, and it runs right next to the highway the entire time. In the early Spring before the trail opened, we checked out the section to see what the traffic would be like. We watched multiple cars and semi-trucks drive past us in both directions, in just a couple of minutes, which will only get worse as the traffic picks up during the Summer months. While there are several other major gaps elsewhere along the CDT, moving this section at Muddy Pass off the road is our highest priority due to the danger it poses to trail users. 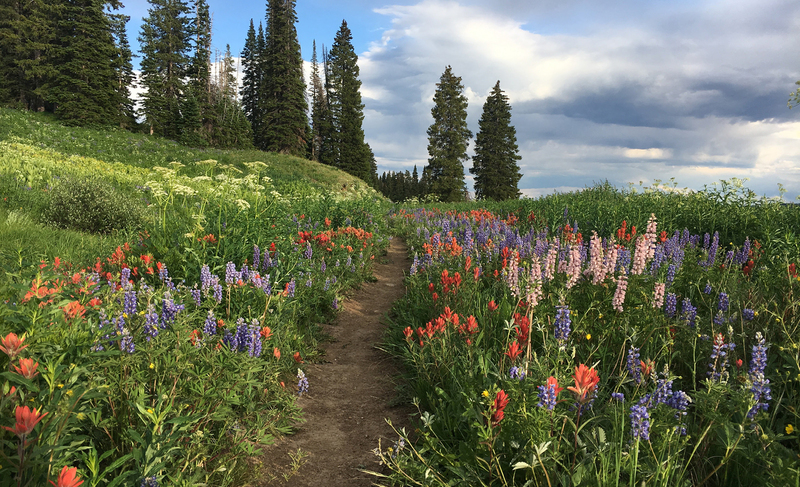 With this section of the trail passing right through their backyard in Steamboat Springs, it’s a priority for the folks at Big Agnes too. 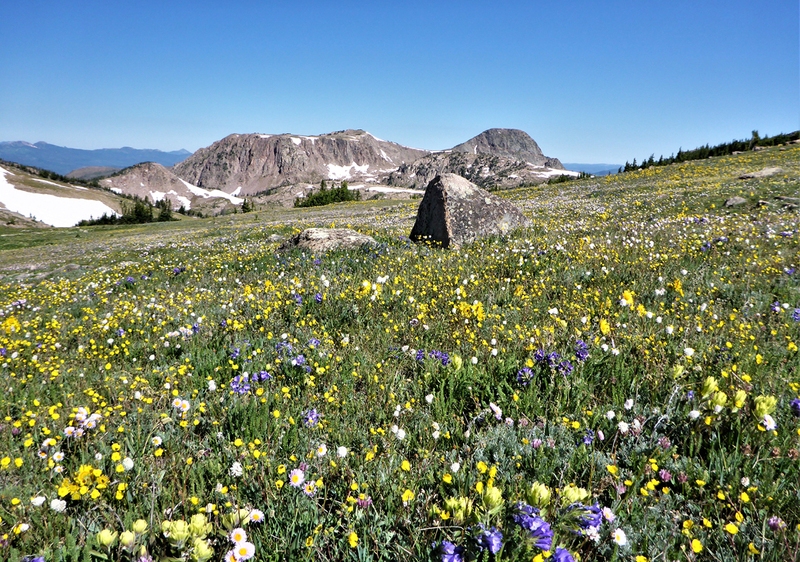 Recently, Big Agnes donated $30,000 to CDTC to help jump-start our efforts to move this section onto public land, which would effectively complete the CDT in Colorado. As you can imagine, relocating 14 miles of a National Scenic Trail onto public land that doesn’t currently exist is no small task. First, we have to think about where the CDT could go – how to get from point A to point B if it wasn’t on the road, based on scenic views, natural resources, property boundaries, terrain, water sources, and more. This requires efforts as diverse as complex GIS analysis, accessing county records and paper maps, and bushwhacking our way along a variety of potential routes to ground truth what we think we’ve found. These sorts of tasks are a lot of what Big Agnes and their employees are helping us achieve. Next, once we think we know where the best place for the trail would be, we begin the process of purchasing land to create that public corridor. Anyone who’s tried to buy a home knows that real estate transactions can be complicated, but especially so when they involve multiple landowners and federal and state governments. We speak with landowners, perform environmental reviews, talk to the neighbors, and file lots and lots of paperwork…. And the list doesn’t end there. Finally, after the land is acquired – we’ll have to (get to!) 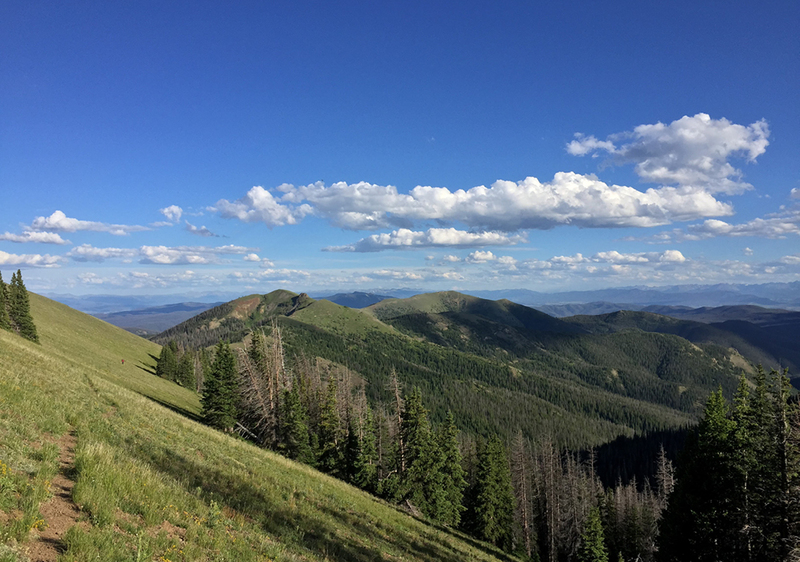 build 20-30 miles of sustainable, gorgeous Continental Divide Trail! That’s all assuming, of course, that our partners at the Forest Service can access money to purchase the land, and without the Land and Water Conservation Fund (LWCF), that’s far from a safe assumption. After more than 50 years of funding exactly these types of purchases for public lands, the LWCF expired last September when Congress failed to take action to save it. Many members of the 116th Congress have pledged to make reauthorizing the LWCF a high priority, so there’s reason for hope, but until that happens, the CDTC will continue to be vocal about the need to #SaveLWCF – because without it, we don’t have the tools to complete the Trail. In the words of Robert Frost and countless CDT thru-hikers, “We’ve got miles to go before we sleep”. 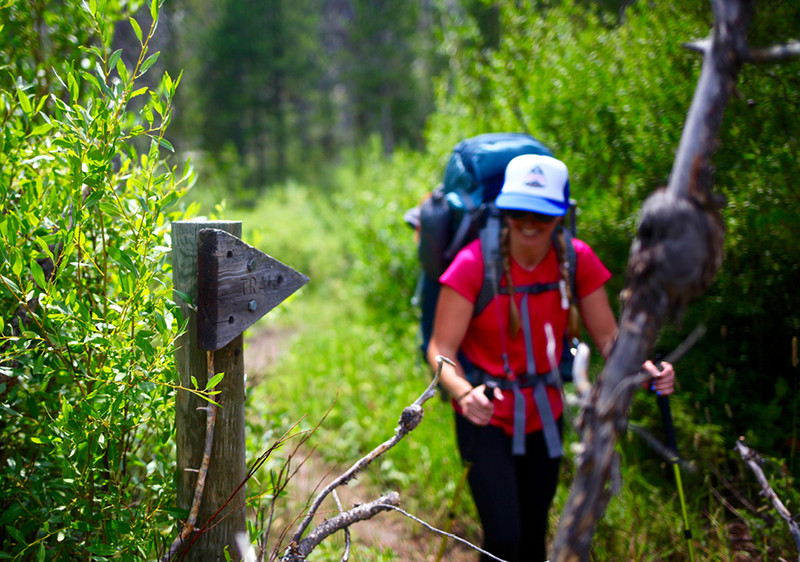 But with the support of Big Agnes, the newest CDT Gateway Community of Steamboat Springs, and the growing family of CDT supporters everywhere, there’s never been a better time for us to put on our boots and start working to finally complete the Continental Divide Trail in Colorado. Amanda Wheelock is the Policy & Communications Coordinator for the Continental Divide Trail Coalition. While she often gets to call the CDT her “mobile office”, she works closely with industry partners, volunteers, and advocates to ensure that the CDT continues to be a crown jewel of outdoor adventurists everywhere. Learn more about their dedication to the trail and how you can become a part of the effort to complete the CDT here.